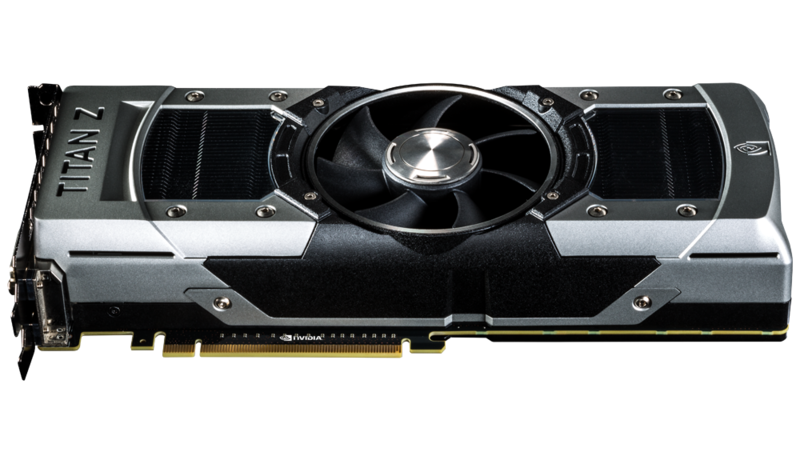 In May, NVIDIA unveiled their flagship dual-GK110 graphics card, codenamed GeForce GTX Titan Z which was met with mixed response from the hardware community. Not only was the card delayed due to unfinished and buggy drivers but it retailer for a price of $2999 US compared to the $1499 US price of its competitor, the R9 295X2 which performed equally similar. Today, might be a good day for GeForce users and content developers who were waiting for t he Titan Z to get cheap. The GeForce GTX Titan is getting an official price cut of 37% which brings the price down to $1830 US. Now those who used to do “price/performance” ratio should be quite amazed that a power house such as Titan Z loaded with 2×2880 ie 2 fully unlocked GK 110 stream processors and 12 GB of GDDR5 at just $300 more than R9 295×2 is a clever move, but there is a catch (Yes, there had to be). Unfortunately SweClockers reports, this deal is only limited to OEMs (Original Equipment Manufacturers) such as iBuypowerPC, OriginPC, Falcon Northwest, Digital Storm and Alienware. This price cut will not hit the retail channel which is kind of sad also, because on one side it will help NVIDIA make room for their new lines of GeForce 900 series cards and at the same time will help OEM and system integrator to make use of this space for releasing better high end products. Although it’s now known whether NVIDIA will release a $3000 US card again or not. It is still unclear why NVIDIA has taken such a step and that too only for OEM. Why Nvidia still wants to sell an under performance card at higher price tag than R9 295×2. Titan Z is basically an two underclocked Titan Black GPUs fused to single PCB. In real world scenario i still think an SLI of 2xTitan Black will out perform this Titan Z at lower cost. If Nvidia really wants to attract consumers, they should offer same price plans for retail side and around the globe and not just in some specific markets. Lets hope this price cut trickles down to retail channel soon otherwise that particular market section will be ruled by Radeon R9 295×2.